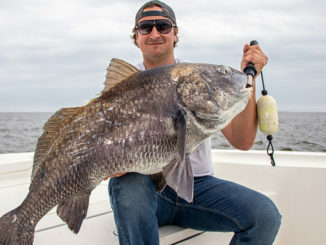 Winters in Mississippi aren’t typically harsh. Still, there are days we get cold hunting, fishing or working, and it’s nice to have a nice bowl of soup or stew to warm up. 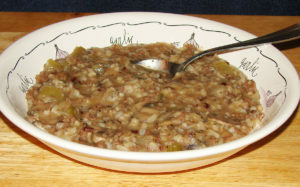 This is a venison soup that includes a multi-rice blend, fresh mushrooms and cream of mushroom soup to give the kitchen a nice aroma. It also makes it filling and something that warms deeply. This recipe is ideal for cold, January days. Whatever you did that made you cold, a bowl or three of this soup will have you up and wondering what to do that afternoon. It’s also civilized enough to serve at home for the wife and kids. I haven’t made this soup in a crock pot yet, but I’m sure it will work. The venison is lightly browned in the pan, and surely, several hours on low heat in a crock pot will plump and tenderize the rice without destroying the nutty crunch of the wild rice in the blend. 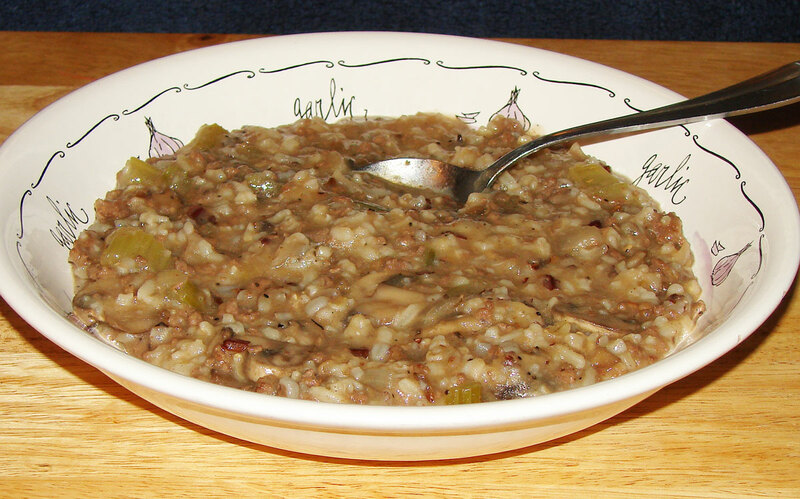 Rice and cream of mushroom makes this venison-based soup a great winter meal. I typically don’t make things with a lot of cream, but this is good. Because of the cream, I don’t eat this soup often, but you just might. It’s simple and really tasty. It’s a lot like spaghetti and chili, in that it seems to get better when reheated. That actually became a step in this recipe after it was discovered with an early pot. A plus is that wrapping your hands around a cup or bowl will bring them back to operating temperature quickly. This versatile recipe should easily transition to substituting beef or chicken. I prefer the flavor and lower fat content of venison and sometimes use venison sausage to give it a little spice from the start. Whatever you use, just get a good sear on the meat before adding the other ingredients for the prolonged simmer that spreads the good flavor throughout. Let me offer a little warning regarding cooking this. 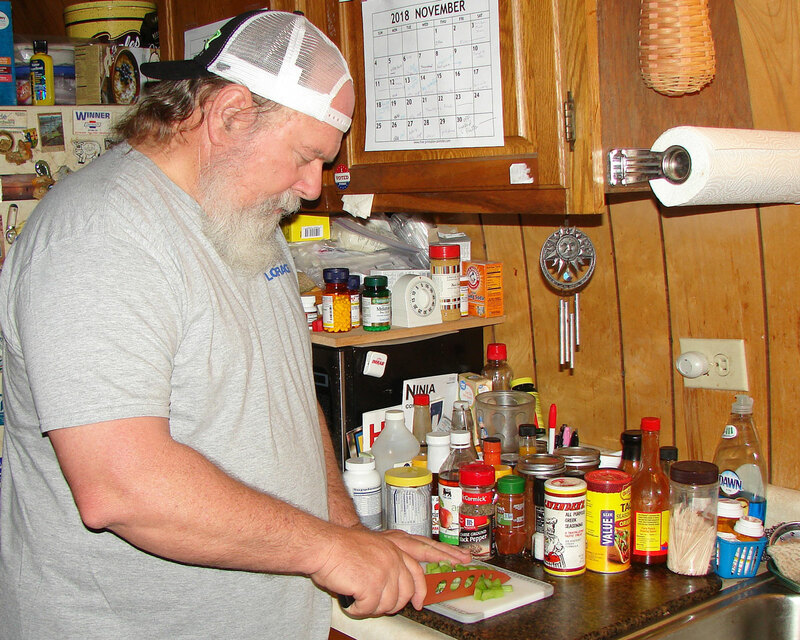 If you prepare it for a Saturday lunch at the hunting club, you may want to double or triple the recipe. This is a good amount, but I’ve seen hunters swabbing the pot with bread to get the last bit when I only made a single amount, and it’s not good to leave a hunter hungry. He may be the one who provides the meat for the next batch. This is a hearty soup that is very filling and warming. It’s good anytime, but is just the ticket for a meal or snack on a cold, winter day. This version is mild, with just a little edge. It can be made more robust by adding a little more Cha Sauce or pepper, and it doesn’t have to be added while cooking; they can be added at the table to suit those who prefer it spicier. This soup has gone through several revisions over the years. The best one has been the rice. 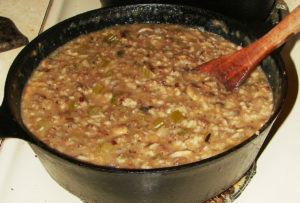 It began with wild rice, then shifted to long grain and wild rice, but I believe it will stay with the Rice Select Royal Blend (www.riceselect.com); it’s worth the time it takes to find. 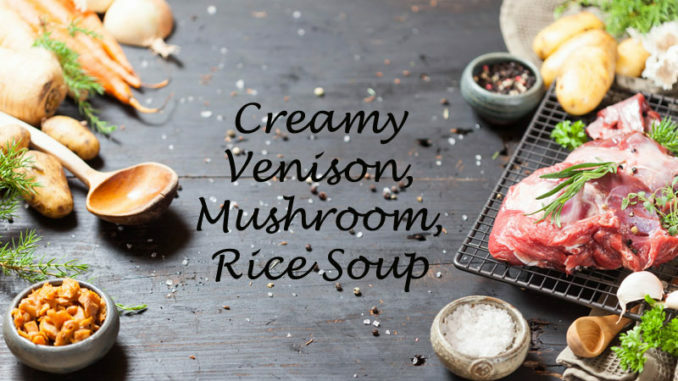 It is a blend of Texmati white, brown, wild and Thai red rice that plumps well and soaks up the venison and creamy mushroom flavors in the soup. I like it so much I have begun using it with other recipes and as a side dish. This soup is also much like chili and spaghetti in becoming more flavorful each time it is cooled and warmed. I included the cooling and warming steps in this recipe; this doesn’t have to be done, but it enhances the flavor enough to be noticeable. It is even better when refrigerated several hours and warmed over. Cooling the soup thickens it, and you may want to add a little water when reheating, but don’t use much. Cooling thickens this soup, and rewarming it enhances the flavor plenty. When you warm it, bring the heat up slowly so it doesn’t sear and stick on the bottom of the pan. Stirring a lot helps prevent this. If you are pushed for time and want to reheat it in a microwave, don’t use full power; use half power and let it warm a little more slowly. This gets the juices flowing and locks in added flavor. 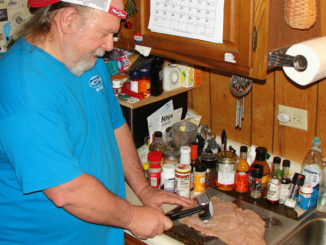 If you have an older package of ground venison in your freezer, this is just the recipe for it. Cooking it slowly and in the bouillon and cream of mushroom soup will keep it moist and restore its tenderness. If you like this and would like to try it with a little more kick, one of the easiest ways to do that is to begin with venison sausage rather than burger. I prefer to cook in a cast-iron pot, which distributes the heat well, and there aren’t hot spots right over the burner rings. I have a deep frying pan I sometimes use for frying fish and chicken that barely holds this recipe. In fact, this recipe was tailored to cook in this pan. If you have a cast-iron Dutch oven, that would be just the ticket and allow stirring without being extra careful not to spill. This winter, when you’re thinking that a soup or stew would be good to ward off the cold, give this a try. I promise it will warm you up, and it’s filling too. Give it a try and you won’t be disappointed. If you take it to the hunting club, you should at least make a double recipe. It disappears pretty quickly once hungry hunters get a taste. Enjoy! 2 cups beef bouillon or broth. If using bouillon, I suggest Better Than Bouillon Roast Beef Base. Onions and celery are the only ingredients that need to be chopped before becoming part of this soup. Chop the onion and celery. Use the non-stick cooking spray to lightly cover the bottom of the cast-iron pot, then break the glaze on the onions and very lightly brown the venison in the Cavender’s seasoning. Drain any grease from the pan. Add the two cups of bouillon or broth, two cups water, celery, Royal Blend Rice Blend, pepper and Cha Sauce and bring to a boil. Reduce the heat to medium and stir in the mushroom soup, mushrooms and another cup of water. Return to high just long enough to boil again, stirring frequently. Reduce heat to low and cover while cooking for 45 minutes to an hour, stirring occasionally. Cook just long enough the mushrooms and celery are tender. An option is to allow it to cool at this point, then reheat to medium, stirring often. Reduce heat to warm and serve. This serves well with a green salad or lettuce wedge to begin and accompanied by a warm roll or slice of hearty bread. Warm pecan or apple pie is a good choice for dessert, and ice cream with the pie makes it even better.